Koukakis SA is one of the most successful agricultural business in Crete. We took over to create a new identity and help the business expand. It all started when the youngest member of the Koukakis family, Babis, decided to meet after being introduced to iprovidenow services by one of our latest, satisfied customers. At that time we had already known the Koukakis family to be a popularly acknowledged local group of hardworking Cretan farmers. With a few simple steps of advice we had to offer , both the local image of the firm and the marketing of their traditional products could be effortlessly transformed to sustain a good local market share. But Babis wanted more. He was a very passionate farmer and a very well educated one too. As he, made his point, “…now I know! Its time for us all to use our collective experience and bring this excellent quality product to the masses. It meets very high standards and has the potential to be very competitive. Its about time to become internationally available“. So we shook hands and welcomed the family to the new trading techniques of our business development consulting. Our branding strategy started by turning Koukakis SA to Koukakis Group SA, in order to differentiate the brand’s sectors of activity. We then proceeded to a complete make over, We had to design the logo, the packaging and a label line that would be suited to all, locally grown but also internationally placed cooking olive oil products. We needed to create a brand equity for a distinctive quality oil that would stand amidst a raft of competing ‘luxury aimed’ brands. While in close cooperation with our client, for the next 2-months we came up with a well-rounded marketing plan and a simple, elegant packaging and logo solution that would become the foundation of our successful branding campaign. The logo icon was selected to be an olive oil branch printed in just one color with the benefits of modern aesthetics, low cost reproduction and easy application on a variety of printable materials. 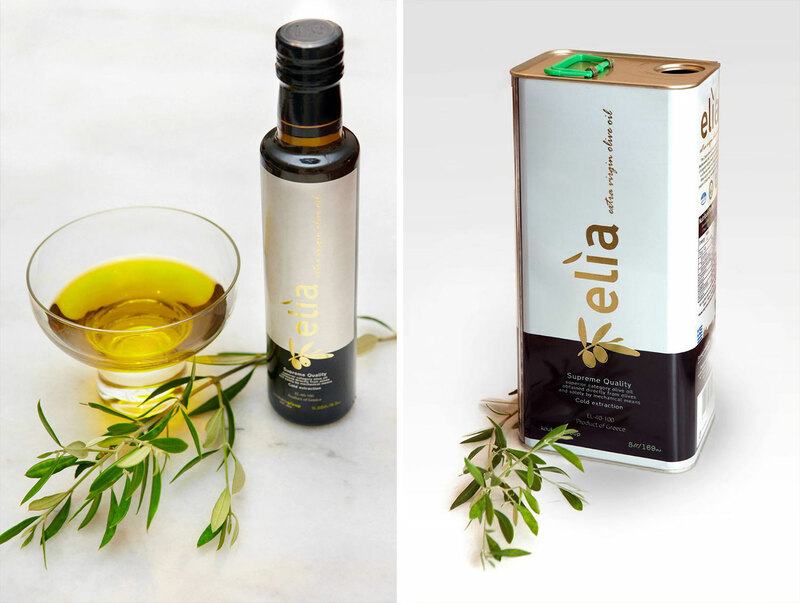 It was accompanied by a memorable wordmark easy to pronounce, the word ‘elia’, that in Greek stands for ‘olive’. As far as packaging goes, we prepared a 5 litre can for the local markets and three different bottle sizes for our abroad debut. Now Koukakis also produces a 500 and 750ml packaging line, filling the demand of a broadened audience in Greece and abroad. We chose the colors black and white to bring a high contrast and a clean, luxurious effect to the label in a noble cost. We designed the Business Cards, the Brochures and all the accompanying stationery that the business would need in a daily basis (letterhead, envelope, digital templates, roll-up, cups, T-shirts etc). We also developed a bilingual website that can act as an international exhibition place for Koukakis products and services. Koukakis Group SA has its own Facebook and Twitter page now and is mainly interested in registering at B2B wholesale marketing. When the time is right the main website is planned to be expanded and serve as a small eshop to pre-assigned foreign distributors. 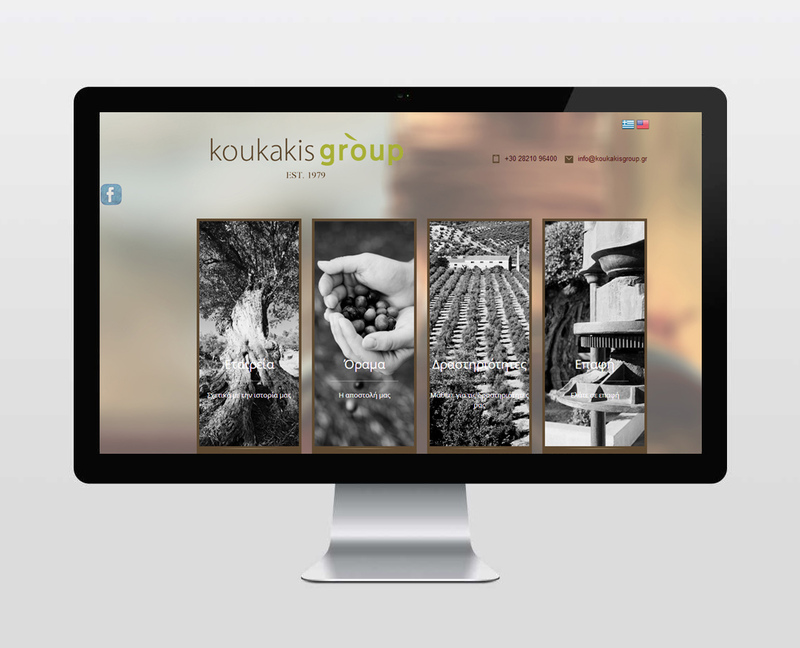 Koukakis Group SA participates in numerous events and agricultural exhibitions both in Greece and abroad, serving olive-oil in many countries, among which are Italy, Austria and Netherlands. 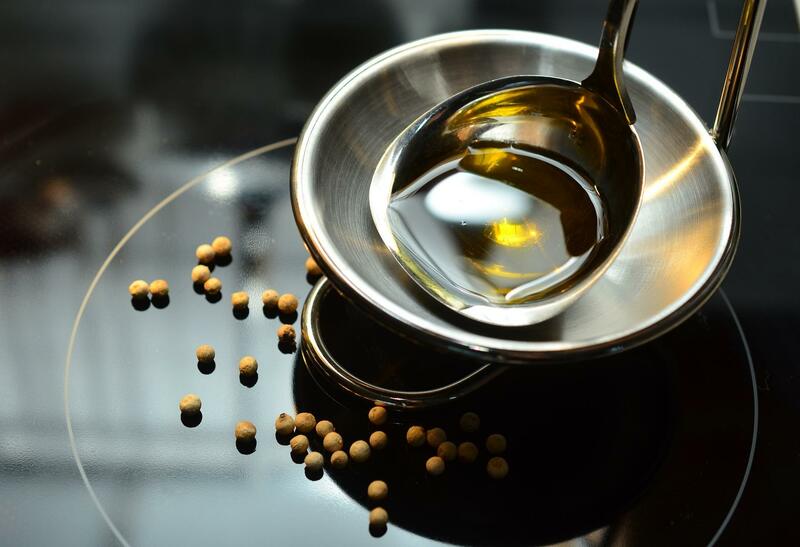 The company is awarded and certified by the Controlling and food Management Organization regarding the production of organic olive-oil. It is also certified by the Organization of Certification and Inspection of the agricultural products ‘Agrocert’ for the production of ‘Geographically Indicated Products’. 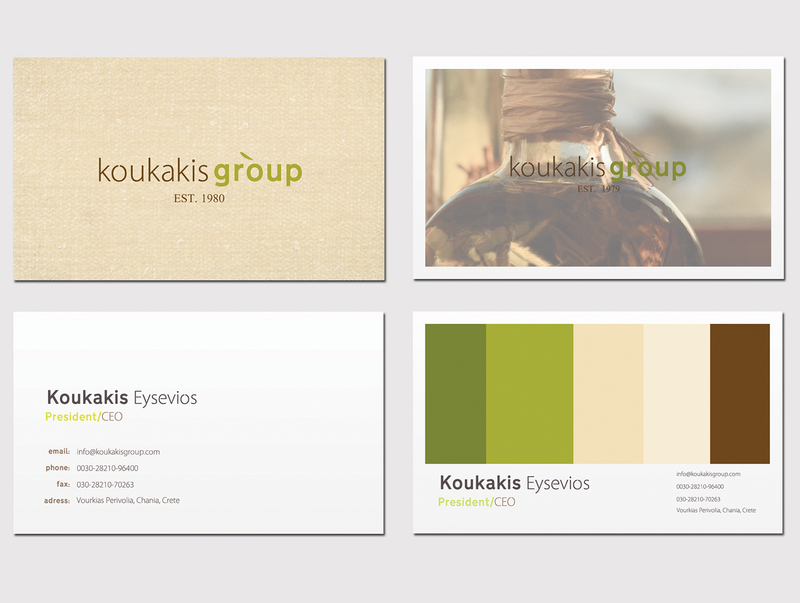 Koukakis family proved to be well aware of the nature of our work and the benefits it would bring to the firm. They presented deep faith to the whole range and extent of the digital marketing techniques we used and applied our advice up to the finest detail in every single step of the way. This dedication saved them money and produced a lot of extra value for their business. iprovidenow Ltd is up to the present moment acting as Koukakis family international trading agent.